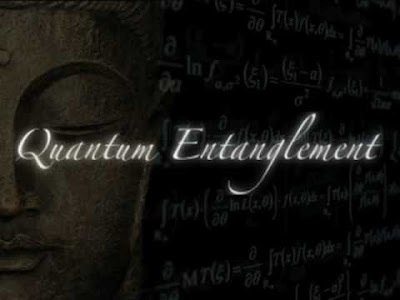 Where Science and Buddhism Meet : Emptiness, Oneness and the Nature of Reality is an enlightening video presentation compiled by Gerald about how the recent discoveries in Quantum Physics speak a language similar to the teachings of Gautama Buddha. The short documentary discusses the wave~particle duality, the quantum field, emptiness of all matter ... the nature of reality !
" Thank you for taking the time to watch this! If you enjoy this video and think it would be of some benefit or interest to others please share ! My intentions are of a pure and positive nature and with this I hope to share what I believe to be a very meaningful message. I've made this to share what I believe to be a profound convergence of two way seemingly opposite ways of perceiving and understanding reality. Lots of love !! " You can download a version of this video directly from Vimeo ! We can now hope for real peace and harmony. Cogratulations to all finders.Kindly publish in all languages and reach out to world population.Truth prevails and compassion is the ultimate victory.